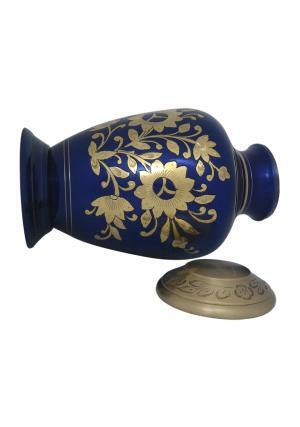 Silver Flowers Majestic Blue Decorative Adult Human Ashes Urn is made of brass metal decorated double bands on the urn and beautifully presented in Royal blue texture with printed silver flowers on the glossy finish of the large human adult urn. 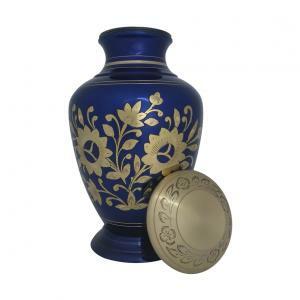 The Royal blue enameled decorative ashes adult urn is designed by skilled professionals with their art work of decorating urns. The Ashes of the demised loved one’s can be honoured by preserving. 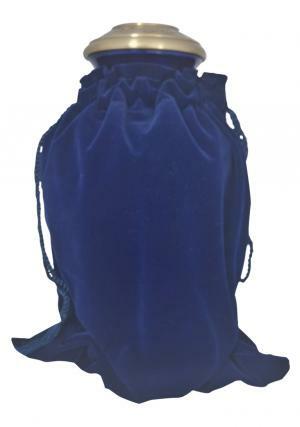 Royal blue decorative large cremation urn has a storage space of 200 cubic inches of ashes approximately. 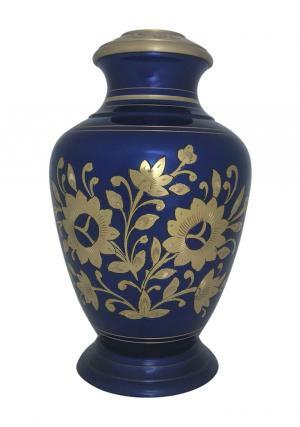 The large urn for human ashes has secure threaded lid on the top used for open and as a tight closure of ashes finished in brushed gold with floral presence on the lid. 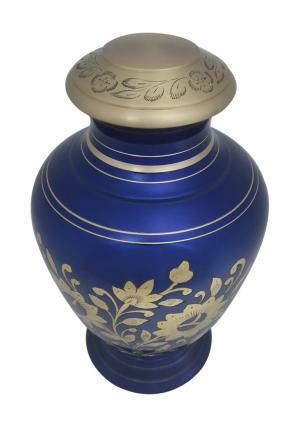 The adult big funeral urn measures to 2.2 Kgs weight with 11.2 inches in height and 6.8 inches in width.